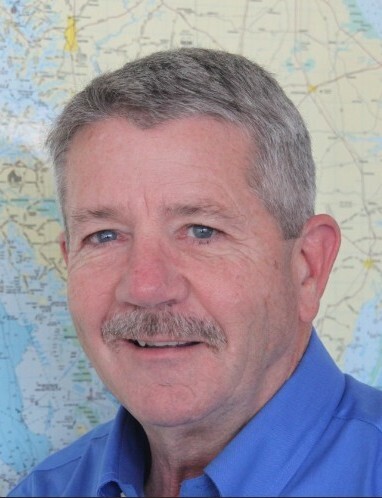 Rob has been with the Virginia Marine Resources Commission since 1987, and was named Deputy Fisheries Chief in 1993. He was named the Acting Chief of Fisheries Management on March 22, 2012 and Chief of Fisheries Management on June 18, 2012. He is responsible for managing the state’s saltwater fisheries, both finfish and shellfish, recreational and commercial. His department sets the size, season and creel limits for a variety of saltwater species and creates management plans to achieve and maintain sustainable fisheries, working closely with the National Marine Fisheries Service and the Atlantic States Marine Fisheries Commission. His department also manages fisheries-related data, the state’s oyster conservation replenishment program, extensive artificial reef system, water access projects and the popular Saltwater Fishing Tournament, which tracks and awards plaques for remarkable catches. Rob earned a degree in Environmental Science at the University of Virginia, and a Master’s Degree in Biology at Old Dominion University. He lives in Gloucester with his wife, Sara, who is a registered nurse at the Army hospital at Fort Eustis. He has two adult sons, who are both Army officers, and a daughter who is attending the University of Virginia. He is an avid jogger, billiards player, and saltwater angler.